Health Datapalooza is coming up quick at the end of April, so I sat down with Bruce Greenstein, CTO of HHS about why all of THCB’s health tech friends should attend. Plus, we get into what’s happening with the open data movement and how Bruce’s past-life at Microsoft is going to shape how he and HHS work with those consumer tech companies that are pushing harder and harder into healthcare. One of the more interesting companies playing in the analytics space is Ayasdi. We’ve featured them at Health 2.0 a couple of times, but at HIMSS I got a chance to talk a little more in depth with chief medical officer Francis Campion about exactly how they parse apart huge numbers of data points, usually from EMRs, and then operationalize changes for their clients. The end result is more effective care and lower variability across different facilities, for example changing when drugs are delivered before surgery in order to improve outcomes. And increasingly their clients are doing this over multiple clinical pathways. They’re really on the cutting edge of how data will change care delivery (a tenet of our definition of Health 2.0) so watch the interview to hear and see more! Give up Your Data to Cure Disease? Not so Fast! This weekend the NYTimes published an editorial titled Give Up Your Data to Cure Disease. When we will stop seeing mindless memes and tropes that cures and innovation require the destruction of the most important human and civil right in Democracies, the right to privacy? In practical terms privacy means the right of control over personal information, with rare exceptions like saving a life. Why aren’t government and industry interested in win-win solutions? Privacy and research for cures are not mutually exclusive. How is it that government and the healthcare industry have zero comprehension that the right to determine uses of personal information is fundamental to the practice of Medicine, and an absolute requirement for trust between two people? Why do the data broker and healthcare industries have so little interest in computer science and great technologies that enable research without compromising privacy? Today healthcare “innovation” means using technology for spying, collecting, and selling intimate data about our minds and bodies. This global business model exploits and harms the population of every nation. Today no nation has a map that tracks the millions of hidden data bases where health information is collected and used, inaccessible and unaccountable to us. How can we weigh risks when we don’t know where our data are held or how data are used? See www.theDataMap.org . The aging of populations worldwide is leading to many healthcare challenges, such as an increase in dementia patients. One recent estimate suggests that 13.9% of people above age 70 currently suffer from some form of dementia like Alzheimer’s or dementia associated with Parkinson’s disease. The Alzheimer’s Association predicts that by 2050, 135 million people globally will suffer from Alzheimer’s disease. While these are daunting numbers, some forms of cognitive diseases can be slowed if caught early enough. The key is early detection. In a recent study, my colleague and I found that machine learning can offer significantly better tools for early detection than what is traditionally used by physicians. One of the more common traditional methods for screening and diagnosing cognitive decline is called the Clock Drawing Test. Used for over 50 years, this well-accepted tool asks subjects to draw a clock on a blank sheet of paper showing a specified time. Then they are asked to copy a pre-drawn clock showing that time. This paper and pencil test is quick and easy to administer, noninvasive, and inexpensive. However, the results are based on the subjective judgment of clinicians who score the tests. 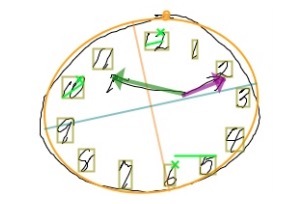 For instance, doctors must determine whether the clock circle has “only minor distortion” and whether the hour hand is “clearly shorter” than the minute hand. ResearchKit simplifies recruiting and makes it easy for people to sign up for a study no matter where they live in the world. The end result? A much larger and more varied study group, which provides a more useful representation of the population. This is a bold claim. We’ll see below that it doesn’t yet ring true. Online, of course, social media is not a latent communist threat, but rather the most popular destination for internet users around the world. People, whether out of fear for being left behind, or simply tickled by the ease with which they can publicize their lives, have been sharing every element of their public (and very often, their private) lives with ever-increasing zeal. Pictures, videos, by-the-minute commentary and updates, idle musings, blogs—the means by which people broadcast themselves are as numerous and diverse as sites on the web itself. Even as the public decries government spying programs and panics at the news of the latest massive data-breach, the daily traffic to sites like Facebook and Twitter—especially through mobile devices—not only stays high, but continues to grow. These sites are designed around users volunteering personal information, from work and education information, to preferences in music, movies, politics, and even romantic partners. So why not health data? 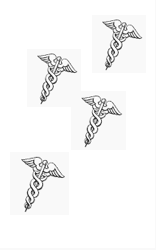 Will Getting More Granular Help Doctors Make Better Decisions? I’ve been thinking a lot about “big data” and how it is going to affect the practice of medicine. It’s not really my area of expertise– but here are a few thoughts on the tricky intersection of data mining and medicine. First, some background: these days it’s rare to find companies that don’t use data-mining and predictive models to make business decisions. For example, financial firms regularly use analytic models to figure out if an applicant for credit will default; health insurance firms can predict downstream medical utilization based on historic healthcare visits; and the IRS can spot tax fraud by looking for fraudulent patterns in tax returns. The predictive analytic vendors are seeing an explosion of growth: Forbes recently noted that big data hardware/software and services will grow at a compound annual growth rate of 30% through 2018. Big data isn’t rocket surgery. The key to each of these models is pattern recognition: correlating a particular variable with another and linking variables to a future result. More and better data typically leads to better predictions. (Big) Garbage In. (Big) Garbage Out. In December, THCB asked industry insiders and pundits across health care to give us their armchair quarterback predictions for 2015. What tectonic trends do they see looming on the horizon? What’s overrated? What nasty little surprises do they see lying in wait? What will we all be talking about this time next year? Over the next few weeks, we’ll be featuring their responses in a series of quick takes. Information Exchange is dead. Long live Information Exchange: There was a lot of talk in 2014 about the failure of information exchange. When people take a closer look, they are going to see there are actually some good examples of this working and changing how care is delivered. We’ll see lots more examples in 2015. (Big) garbage in, (big) garbage out: People are looking to big data and analytics to tackle population health and other problems. They will soon find that without addressing data quality and conditioning up front, the results will be disappointing at best. This will be the year of clean data. Keep it simple: The mobile revolution has not yet had the impact on healthcare that it has had in other sectors. Recreating desktop applications on a phone is not the answer, nor are retreads of messaging standards. We will have to rethink how healthcare information is presented and used.